Lisa J. Brown, Ph.D., was appointed Commerce Director by Washington Gov. Inslee and began serving the agency in February of 2019. Prior to serving as Commerce director, Brown served as chancellor of Washington State University, where she led the health science campus in Spokane. 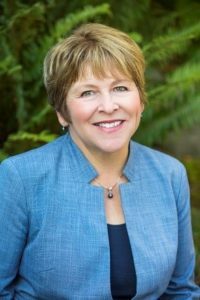 Brown served in the Washington State Legislature from 1996 – 2013 in the Senate where she was majority leader and chaired the Rules Committee, Ways and Means Committee, and Energy, Technology and Telecommunications Committee. She served in the state House of Representatives from 1993 – 1996, where she was minority whip and minority floor leader. She has worked extensively on economic development in Eastern Washington and on gender equity. Brown earned her bachelor’s degree in economics at the University of Illinois and her master’s and doctoral degrees in economics from the University of Colorado in Boulder. 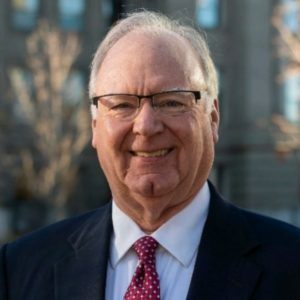 Tom Kealey is Idaho Gov. Brad Little’s appointment to serve as Director of the Department of Commerce, and began his service in January of 2019. Kealey is co-owner of restaurant Chicago Connection and a former Morrison-Knudsen executive, and served on the Idaho Endowment Fund Investment Board under Governor Dirk Kempthorne. A lifelong Republican and retired CPA, Kealey believes in protecting the Idaho Constitution, taxpayers money and credit rating. Kealey earned his accounting and finance degree from the University of Washington and an MBA in Strategic Planning and Marketing from Harvard Business School. This post originally appeared on the Lincoln County Economic Development website. (Davenport, WA, January 18, 2019) — It was early 2016 when the Harrington PDA began to install a high speed broadband network through their downtown business district. 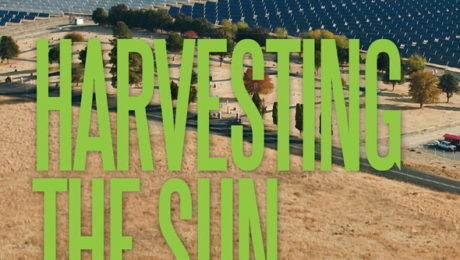 Now three years later, that project has become a model for do-it-yourself rural internet. 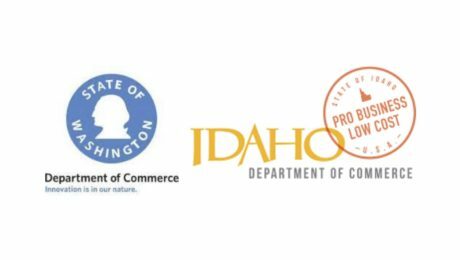 Last January the stakeholders in the project were invited to tell their story to the State Senate Committee for Economic Development and International Trade. This past October Harrington hosted a policy discussion with Governor Inslee’s advisor on rural broadband, John Flanagan. 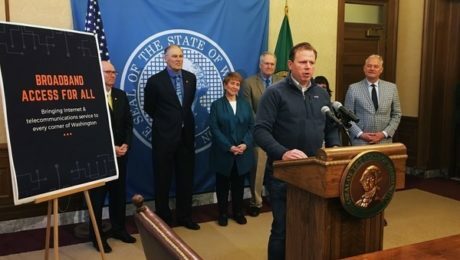 And Last week Harrington’s Mayor Justin Slack spoke at a press event in Olympia where the Governor announced his 2019 initiative to increase broadband access throughout the state. Mayor Slack spoke about the PDA’s project, but he also spoke about he and his wife Heather making the decision to move from Seattle to Harrington to raise their children in a small town. The Slack’s purchased a building within the fiber network so that Justin would have the bandwidth he needed to telecommute to his job with a Seattle bank. Soon the “accidental business owners” opened The Post & Office wi-fi coffee shop in the front half of their building and a fiber-fed shared workspace in the back. The Post & Office has become the hub of the community thanks to good coffee and high-speed internet. Commissioner Scott Hutsell also spoke at the press event in Olympia. The Commissioner is the Chair of the Public Works Board, an infrastructure planning and funding board within the Dept. of Commerce and spoke about the importance of broadband. Inslee’s proposal includes $25 million in grants and bonds for broadband infrastructure and he hopes to see the Public Works Board administer those funds. The Governor also proposes the state establish a Statewide Broadband Office to be the central broadband planning body. Washington had a broadband office from 2009 to 2014, funded by a five-year federal grant from the American Recovery and Reinvestment Act, the same act that funded the NoaNet fiber project in 2012-2013. It is that NoaNet fiber that feeds Harrington’s network.